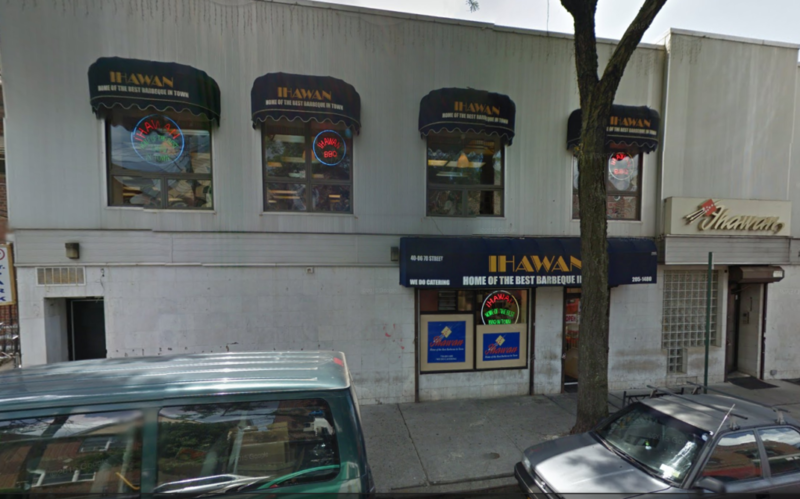 A Filipino restaurant in Woodside, NY has been temporarily closed for violation of several health laws earlier this week. Ihawan, located at 40-06 70th Street, was ordered shut down Tuesday for racking up 56 violation points during a standard health inspection, reports Sunnyside Post. According to the Department of Health website, the closure of the restaurant was due to non-critical and critical violations which include storing food beyond required temperature, presence of live mice, and contaminated area for food preparation. Other violations include presence of improperly installed plumbing system and failure to provide a vermin-proof facility. After inspections, the Health Department gives out violation points based on the size and scale of each violation. Depending on points received, letter grades are then assigned to restaurants — 13 points and below receives an A grade, B for those receiving between 14 and 27 points, and restaurants receiving 28 or more points get a C grade. If certain violations are considered especially problematic, the Health Department can shut down the restaurant. Once a restaurant is shut down by the Health Department, it will be re-inspected once per month until it scores below 28 points, or the Department will close it for serious and persistent violations.